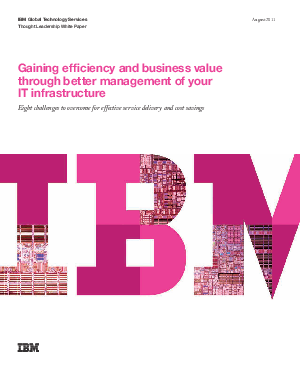 Managing today's complex server environments, networks and IT infrastructures is challenging. Most organizations have tools and disciplines in place to provide basic availability management, including hardware and software monitoring capabilities. However, your staff may not have the skills or time to support and implement notification handling, performance and capacity management, security management, configuration management and automation. With the pressure to do more with less, how can you balance the need to drive down costs and also improve delivery of system administration, information access, remote access and problem and change management?